Can I Get an Online Graduate Certificate in Education? How Long Does It Take to Earn an Online Graduate Certificate in Education? What Are the Admission Requirements for a Graduate Certificate in Education? 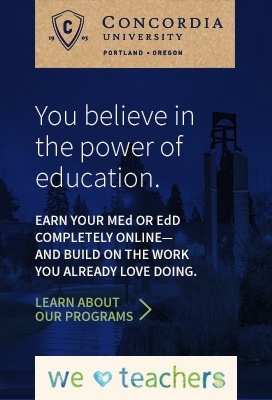 Many colleges and universities offer graduate certificate programs in education, both online and on campus. A graduate certificate from an accredited program can open doors to career advancements, increased salary points, and higher pay. Graduate certificates are earned after completing a brief and focused program designed to prepare graduate students with advanced skills and knowledge in a specialized area. Currently in the competitive job market, specialized knowledge and skills are highly valued. Those with advanced certifications will often get hired and promoted more easily. Graduate certificates have become a popular way to gain career skills and make a person more marketable. In many cases, students do not have the time or resources to commit to a master's degree program. Instead of ruling out the option of higher education altogether, they complete a graduate certificate program. A graduate certificate allows them to take steps toward advancing in their career. Graduate certificates come in a variety of specializations within the field of education. For example, a teacher can earn a graduate certificate in a specific subject like math or science. Teachers can also earn graduate certificates in educational technology, higher education, special education, instructional design, teacher leadership, to qualify them to teach English language learners, and many more. Online graduate certificates in education allow students to gain in-demand skills quickly and cost effectively. Most online graduate certificate programs can be completed in less than one year. These programs are carefully structured to focus on your chosen specialization area, so no time is wasted on unrelated subjects. Online graduate certificates in education can give your career an instant boost. Programs are designed for current educators to broaden and update their skills in order to enhance their career. Often, those who are interested in online graduate certificates as opposed to a degree are usually looking for an immediate return on investment. In other words, these students are looking for a short-term, specialized program that gives them the necessary skills to get a fast promotion or qualify for another job. Practicing teachers tend to treat certificate programs as a resume boost or to add an authorization to their existing credential. In addition, the graduate school credits earned during the program will help a teacher earn more salary points and higher pay. Since physical attendance will not be required, students have a wide array of programs to choose from - regardless of geographic location or physical ability. Online programs allow students to learn at their own comfort and pace. This is very important for the busy professional. With online classes, students can complete their required coursework and contribute to class discussions when it's most convenient for them. Those familiar with online teaching degrees will be able to seamlessly integrate into a potential certificate program. Graduate certificate programs often consist of four to seven courses, or about 12 to 15 credits - depending on the program. These online courses can be completed in a few months to about one year. Some online programs may be offered in a cohort structure while others are not. In a cohort program, online classes will be taken in a predetermined and sequential order. Each course may be about four to ten weeks in length. On the other hand, non-cohort online programs can be taken more freely. That said, some online students like to take two classes at a time, thus, shortening the amount of time it takes to earn the graduate certificate. Both options are great, it just depends on what you prefer. Before signing on to an online program, make sure you know which type of structure is being offered. A candidate's available time is a major factor in determining whether or not to pursue a graduate certificate. Since graduate certificates can be completed in such a short amount of time, they have become a popular route to helping teachers achieve career advancements. Before beginning a graduate certificate program in education, students must already have a bachelor's degree. In many cases, students will also need to possess a teaching credential/license. Depending on the school or program, applicants may be required to meet a minimum GPA, as well as submit letters of recommendation and a resume. Prospective students will also fill out an application and may be asked to provide official transcripts and partake in an interview. However, some schools may waive the bachelor's degree requirement if a candidate has enough relevant work experience. There are many different graduate certificates in education with a variety of specializations. Review the certificates below to see what best fits your educational and career goals. A graduate certificate in Mind, Body, and Teaching is established from research on the areas of psychology, cognitive science, and neurology when applied to educational contexts. The courses will allow educators to gain knowledge of diverse fields that investigate human development and learning. Courses will guide educators through the new research in the area of brain science and how those findings can drive new educational policies and practices. Graduate certificates in Mind, Brain, and Teaching are designed for teachers, student support staff, as well as administrators. This type of graduate certificate is often comprised of four to five courses which is about 12 to 15 units/ credit hours. The certificate usually takes about 10 months to complete. Tuition for this graduate certificate often ranges from $5,000 to $8,000 at about $400 to $600 per unit/ credit hour. Specific fees will depend on rates as established by the college or university from which the certificate is earned. A certificate in Gifted Education is perfect for the educator seeking to develop and grow in the field of gifted education. This certificate is perfect for educators who wish to implement creative teaching pedagogies for students who have been identified as advanced learners. Educators in this specialty area must know how to reach students who excel in specific academic fields and harbor a high degree of motivation for learning. A graduate certificate in gifted education is designed to strengthen an educator's ability to meet the needs of talented students as well as identify the exceptional academic strengths and stresses that come with a gifted student's psychological and social development. A graduate certificate in Gifted Education can often be earned in as little as 10 months. Programs usually consist of about four to five classes, which is about 12 to 15 units/credit hours. Depending on the specific school and program you choose, the cost for this graduate certificate is about $400 - $600 per unit/credit hour, totaling in about $6,000 to $8,000. There is a growing need for educators who understand the needs of students affected with autism. A graduate certificate in Autism Education provides opportunities for graduate students to explore interventions for students with autism. This includes social, behavioral, and educational interventions - all to improve the learning environment. This certification program is ideal for professionals in any field that provides services to people affected by autism - for example, counselors, therapists, teachers, speech pathologists, and social workers. Depending on the specific program and school you choose, a graduate certificate in Autism Education can be completed in as little as nine to 15 credit hours, which is about three to five classes. Most programs can be completed in six months to one year and will cost around $5,000 to $8,000. In an Adult Education and Learning certificate program, students will be able to research and learn about the best ways to effectively teach adults. This certificate is often desired by people who already have a degree and wish to teach adults in higher education institutions, businesses, and/or organizations. During this certification program, students will often learn how to develop educational programs for employee training, vocational education, adult literacy, and more. The topics and themes covered within an adult education certificate program can help you right away as learners apply their new knowledge in the workplace. Many graduate certificate in Adult Education and Learning programs can be completed in as little as eight to ten months. Graduate programs may consist of about four courses or 12 credit hours. Depending on the school and program you choose, the total tuition for this type certificate ranges from $6,000 to $9,000. Graduate certificate programs in Curriculum and Instruction equip students with the necessary tools to plan and implement curricula and instruction based on standards. Students will be prepared to create lesson plans and assess instructional programs in order to better use educational tools and teaching materials. Programs cover different models of teaching as well as advanced curriculum design. This certificate program is ideal for students with who have an intent to expand their teaching careers. Graduate certificate programs for Curriculum, Instruction, & Assessment usually consist of four to five classes, which equals to about 12 to 15 units/credits. This certificate can usually be completed within a year of starting and would cost from $6,000 to $9,000. Specifics will vary based on the school and program you choose. A graduate certificate in Reading and Literacy is for educators who want to improve their ability to use effective literacy instruction and assessment. Teaching professionals will examine and use various strategies to engage all levels of readers, including struggling readers, English language learners, as well as gifted readers. Students will delve into "new literacies" and technology as a means to integrate 21st century literacies into a curriculum to enhance a lifelong love of reading. Such program usually consists of 12 to 15 units/credits, which is about four to five classes. Most programs can be completed in less than one year and can range in price from $6,000 to $9,000. Today's classrooms offer a very diverse audience. There is a growing need for teaching professionals to understand the intricate influences of language, culture, and life experiences on a student's leaning. A graduate certificate in Engaging Culturally Diverse Learners helps teachers establish ways to use diversity as a means to achieve meaningful learning opportunities. In such a program, students will explore research and theories as well as effective practices as relation to student diversity. A graduate certificate in Engaging Culturally Diverse Learners is usually structured around four to five courses. Each course will provide the learner with 3 credit hours/units. Typically, this certificate can be earned in six months to one year and will cost anywhere between $6,000 to around $8,500. Tuition rates will depend on the school and program you choose. In order to fully support teaching and learning in the 21st century, teachers should be able to feel comfortable with and be able to utilize the latest related technologies. In this program, educators can learn about the technological skills needed to establish motivating and effective learning environments for the 21st century learner. Teachers will have the opportunity to learn how to computer-facilitated and student-centered classrooms across grade levels. The graduate certificate in Integrating Technology in the Classroom program often consists of three to four classes. Each class usually last between six to eight weeks. The entire program can often be completed in six months to one year. As far as tuition, the price can range from $4,000 to $8,000 - depending on the institution you choose. A graduate certificate in Mathematics provides learners with the skills and breadth of knowledge needed to help schools and students succeed with the guidelines as established by the Common Core State Standards as well as the National Council of Teachers of Mathematics. Using the CCSS and NCTM frameworks, you will learn how to assess students' knowledge and skills within mathematics as well as plan interventions. Most programs will provide graduate students with opportunities to utilize technology intensive, problem based, and student centered teaching methods. This four to five course graduate certificate will take about 10 months to complete and can range in cost from $5,000 to $9,000. Specific details will depend on the school in which offers the program of your choice. With a graduate certificate in Science Education, you will learn how to apply tools of scientific inquiry. Graduate students will often become active participants in the scientific process and explore the newest issues in the broad field of science and how it relates to science education. There will be a focus on creating engaging learning experiences for students in a science class. Most programs will even tap into the importance of STEM (science, technology, engineering, and math) education. Most graduate certificate programs in Science Education will consist of four to five classes. Each class usually last about six to eight weeks and the entire program can often be completed in less than one year. The tuition for this program is usually between $4,000 and $8,500, depending on the school. Certificate programs in special education allow graduate students to explore the newest strategies for assisting student with a wide range of special needs. Staying current with research-based pedagogies is critical in the field of special education. Students in this program will be able to use the skills they learn in their own classrooms right away. Graduate students will build on their abilities of creating effective interventions, differentiate instruction based on the needs students, provide accommodations, as well as collaborate with colleagues and fellow teachers. Most graduate certificate in Special Education programs can be completed in under one year, often six to ten months. Programs usually consist of four to six courses, each course lasting about six to ten weeks. The tuition for such a program usually ranges from $4,000 to $7,000. Graduate certificate programs in Teacher Leadership allow learners to discover and build on their leadership strengths and learn how to apply those strengths to educational challenges. Students will also learn how educational policies are made, and how to be a part of that process. Through such a program, teachers can transform into leaders and agents of change. Professionals who are interested in this graduate certificate program want to make a difference in their school, community, and classroom. Graduate certificate programs for Teacher Leadership often consist of about 4 graduate level courses for a total of 12 credit hours/units. Programs can usually be completed in around 10 months and can cost between $5,000 and $8,000. A graduate certificate in Teaching English Language Learners prepares graduate students to teacher English to students who speak other languages. These teachers often serve students in the K-12 education system. Throughout the program, graduate students will focus on designing and utilizing instruction that combines English language development with other academic subjects. Graduate students will learn how to assess the language proficiency levels of English Language Learner or English Second Language (ESL) students. Teachers will then practice using assessment results to guide further instruction. There is a growing need for educators who can meet the needs of our English language learning student population. This graduate certificate program can usually be completed in less than one year and on average costs between $5,000 and $8,000. Such programs tend to be structured around four to five courses and each course takes about six to eight weeks to complete. This graduate certificate is intended for teachers and other certified personnel looking to pursue leadership positions in a K-12 school setting. In most cases, students in this program must already be employed by a school. Each student will usually be required to complete an internship under the supervision of an on-site mentor in the school where the student works. Such programs provide opportunities for graduate students to develop the skills needed to advance into educational leadership roles. A graduate certificate in School Administration and Supervision can usually be completed in about one year. These programs are comprised of four to six courses, with three credits for each course. Tuition can range from $4,000 to $9,000, based on the school and program you choose. STEM (Science, Technology, Engineering, and Mathematics) exposure and education in K-12 classrooms across the nation has become increasingly important. These subjects play an integral role in addressing the need to inspire future innovators. It is necessary to equip our students with 21st century career skills. After a graduate program in STEM Education, teachers will have the knowledge to become STEM leaders in their schools and districts. Graduate students often go on to assume leadership roles, and proceed to make important contributions in STEM research and education. A graduate certificate program in STEM Education can usually be completed in about one year or less. The programs are usually structured around four to six courses, each being anywhere between six and ten weeks in length. Depending on the higher education institution which provides the program, tuition is often between $5,000 to $8,000.